In small bowl, beat cream cheese and peanut butter with electric mixer on low speed until smooth and creamy. Beat in yogurt, powdered sugar, vanilla and salt on low speed until blended. Stir in chocolate chips. 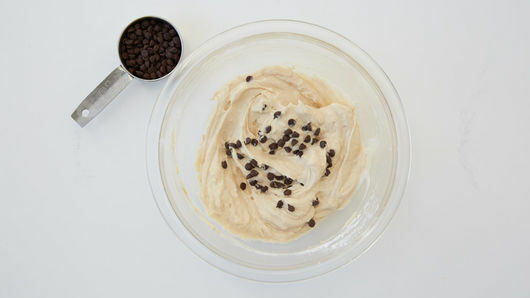 Sprinkle with additional chocolate chips for garnish, if desired. You can try other stir-ins if you like. Try candy-coated chocolate or peanut butter pieces, toffee bits or chopped peanuts. 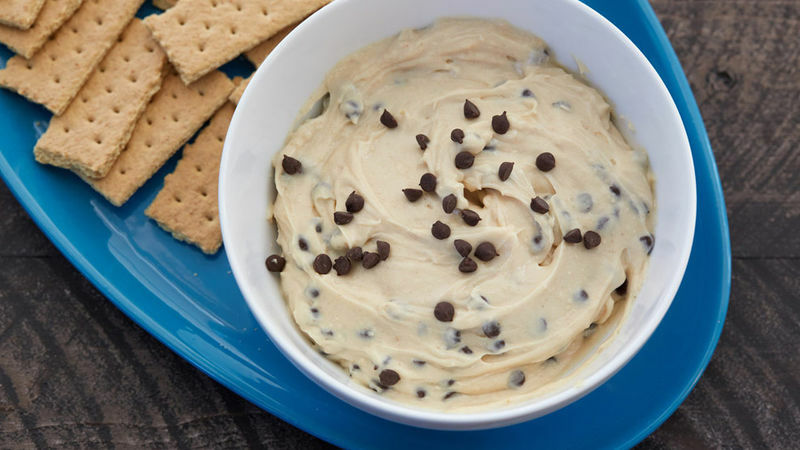 Make the dip ahead, and have it ready for an after-school snack for the kids.